The Italian automaker gives another companion to your happy family with its new family car christened as Fiat Linea. The car comes as a large size saloon that replaces the aging Marea as the largest saloon for the company. The car is based on the current Fiat Grande Punto platform. The car comes with a decent power output and for it the exterior parts (headlamps, bumper and windshield) must be insured. The cockpit is crafted ergonomically to flaunt an intuitive infotainment system & control panel. The expensive added exterior accessories are also suggested to be insured. The interior of the saloon lacks advanced interior technology but the safety list (ABS, immobilizer etc.) of the car is dependable and the owner should go for the passenger cover along with the driver cover. The owner can also go for the Invoice insurance. Why Is It Important to Have Insurance For Fiat Linea Car Through Coverfox? Is it mandatory to insure my Fiat Linea in India? How will the engine’s CC affect my Fiat Linea’s car insurance premium? What are the documents required to buy Insurance for my Fiat Linea? What if I had provided wrong policy information while buying my Fiat Linea’s car insurance? You may wish to make changes to your existing Fiat Linea’s car insurance policy, and these changes are done through an endorsement. An endorsement is a written evidence of the changes made in the policy. If you need to make any changes then you can submit a letter to the insurer with the necessary proofs. This helps you obtain an endorsement, which can affect the premium to be paid for the policy. 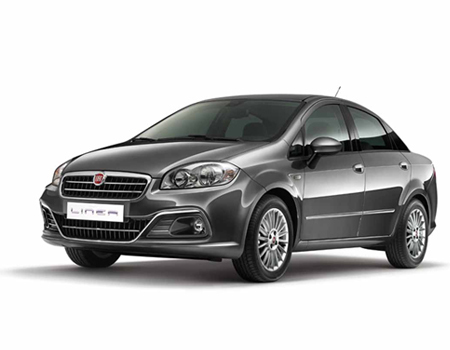 Is it possible to renew my Fiat Linea’S car insurance policy from third-party to comprehensive? Can I renew my Fiat Linea car insurance with another Insurance company? What if I plan to cancel my Fiat Linea’s car insurance policy? In such a case, what should I do?